(SEPT. 4, 2018 – Houston) – In a new study on the healthcare real estate sector, Transwestern today reveals that swelling demand for healthcare services may push forecasted demand for medical office space well above supply in several U.S. markets. 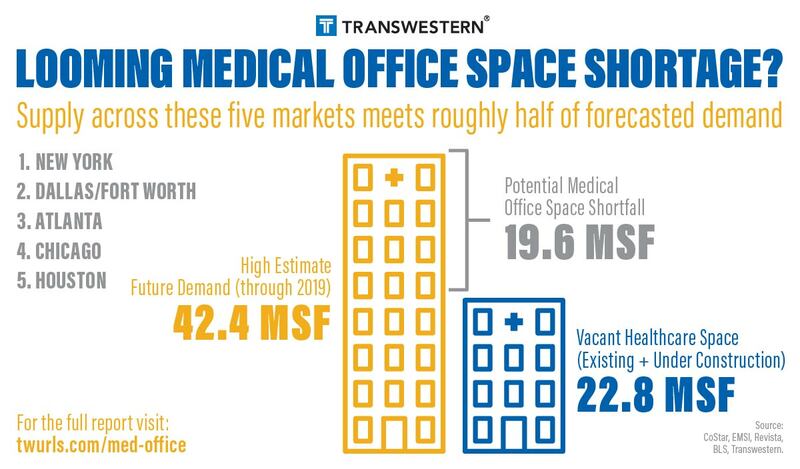 The report, Medical Office Space Gets Tight, bases its predictions on the anticipated growth in healthcare workers through 2019 and compares average space usage per worker to space that now exists or is currently under construction in 14 markets. 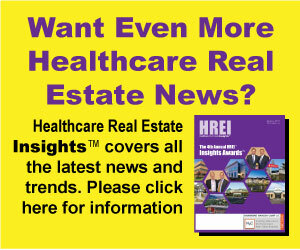 Specifically, current projections estimate that just over 150,000 healthcare practitioners will be added to the economy over the next two years, and total demand for medical office space across the U.S. could range from 150.5 million to 225.8 million square feet by the end of 2019. New York, Dallas-Fort Worth, Atlanta, Denver and Miami-Fort Lauderdale would be the most challenging for practitioners wishing to locate within medical office space. But other real estate options could provide feasible solutions, including leasing nontraditional spaces in conventional office buildings or repurposing empty retail space for medical uses. Norton noted that the emergence of new forms of healthcare, such as telemedicine, digital health, and shared service centers, could suppress future demand to some degree, depending on how quickly these new approaches are adopted by the healthcare industry. Transwestern’s national Healthcare Advisory team has grown to become the country’s largest dedicated healthcare real estate team, operating from 19 cities and including more than 130 members. The team provides a full range of services, including leasing, investment, tenant advisory, property management, project management, and construction services for hospitals, healthcare networks, physicians and investors.